THERE was no lull in Woking’s stormy week as they suffered a 2-1 reverse at a windswept Barrow. The driving rain and gusts that battered Barrow’s rickety Holker Street ground on a bleak Saturday afternoon in Cumbria were the perfect reflection of Woking’s tumultuous week on and off the field – with boardroom unrest the hot topic on the terraces. Playing into the eye of the storm in the first half, Woking were soon up against it. 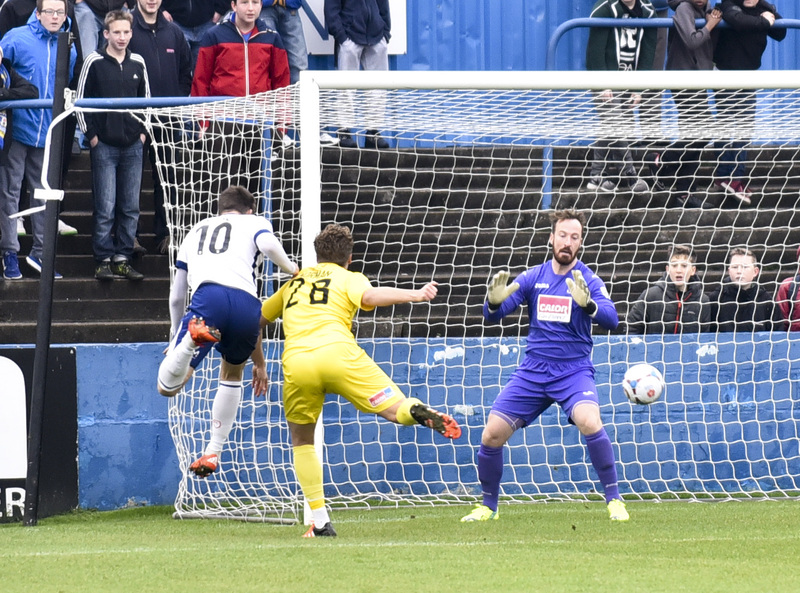 Arriving at the back post virtually unchallenged, experienced Barrow forward Andy Cook headed full past keeper Jake Cole after just four minutes. The force of the squally winds prohibiting Woking’s reply to that early concession was best illustrated by the usually big-hitting Cole who saw a string of his goal kicks carried back towards him in the gale. Any golfers out on the Cumbrian coast will surely have walked in early on Saturday! For the remainder of the opening 45 minutes, for Woking boss Hill, it was a case of asking his side to stand up to the elements to try and keep the deficit down to just a single goal – which they just about did. Scorer Cook struck the outside of the post before David Mellor rattled the woodwork once more when his thunderous long-range effort crashed back of the crossbar. 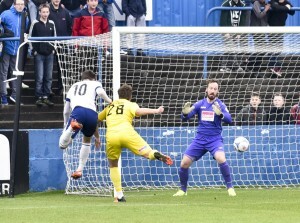 Speaking after the match, Hill explained that his half-time message was simply to take advantage of the wild conditions – and the instruction paid off as Joey Jones pulled the away side level inside three minutes of the restart when he glanced home a header from a Bruno Andrade free-kick. The emergence of Jones at the heart of the defence has been a shining light amid the dark clouds swirling around this, improving but under pressure Woking side in recent weeks. Former assistant manager at Kingfield, Matt Crossley, has been drafted in by Hill and current Cards’ assistant Steve Thompson to try and sure up a leaky defence that has now conceded 32 goals at the half-way stage of the season. That goal looked to be the springboard for Woking to go on and take all three points with the wind at their backs, but all bets are off with this inconsistent Cards team – a 5-2 loss to Macclesfield followed by ruthless 2-1 and 4-1 wins over Chester and Tranmere in recent games attests to that. Sadly for Hill, having rolled the dice and brought on substitutes Kadell Daniel and Jimmy Keohane, the gamble backfired when Barrow defender Steve Williams stole in to nod the winner, leaving Woking empty-handed on the 300-mile journey home.